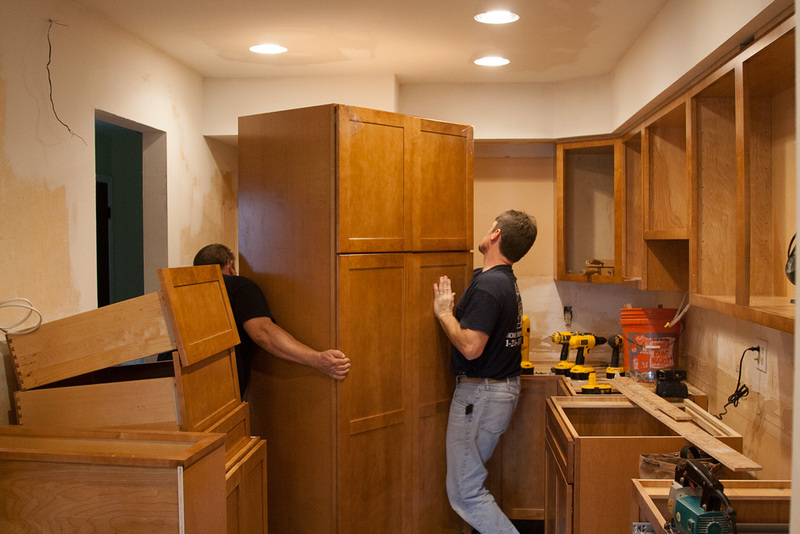 Today was the big day: the cabinets arrived! 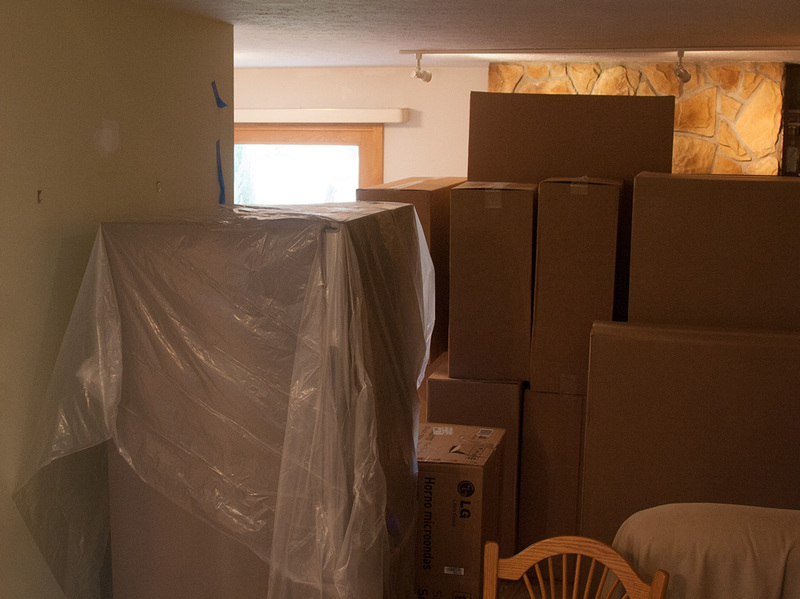 The already-chaotic living room area of our little place was filled with big boxes — a few really big boxes — containing brand-new cabinets and components from Kraftmaid, an Ohio company. Not long after the delivery truck departed the boxes were opened and their contents placed in their approximate locations within the kitchen space. Already, things were looking better. 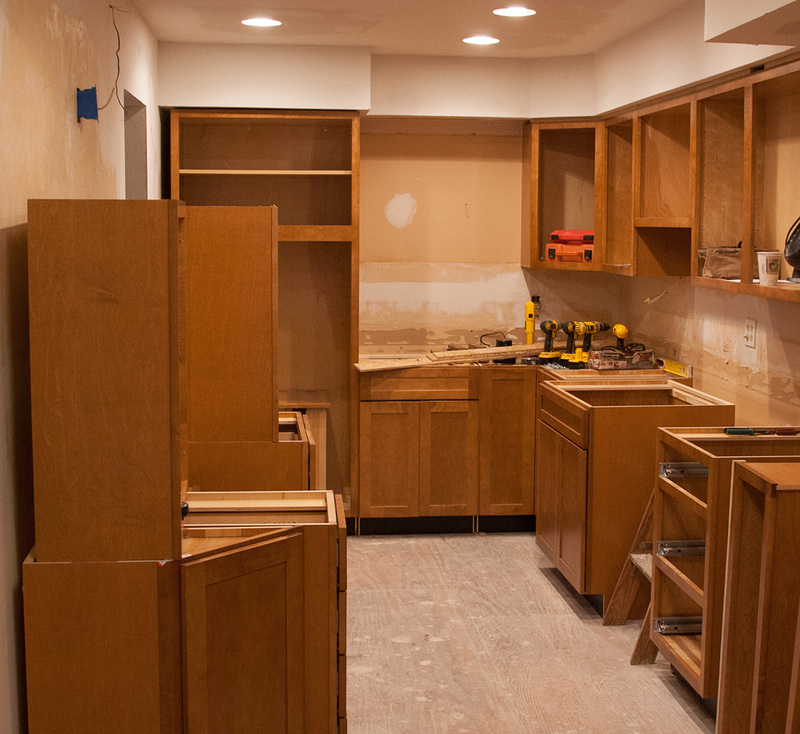 Many things would have been better than the way the kitchen looked last night but the beautiful new woodwork did spur the imagination. Eventually the first upper piece was hung in the far corner, then another, and another; then some base units were set. Every time a new unit was placed, the crew carefully measured, leveled, adjusted, fitting each precisely in its final spot. The only hitch that developed during the day was that the hot water line should have been designated for movement as was the drain pipe. Not a big deal, but it will slow progress just a bit. Stacked in a corner of the living room is the new laminate flooring and, as I’ve already said, I’m really looking forward to the new floor! 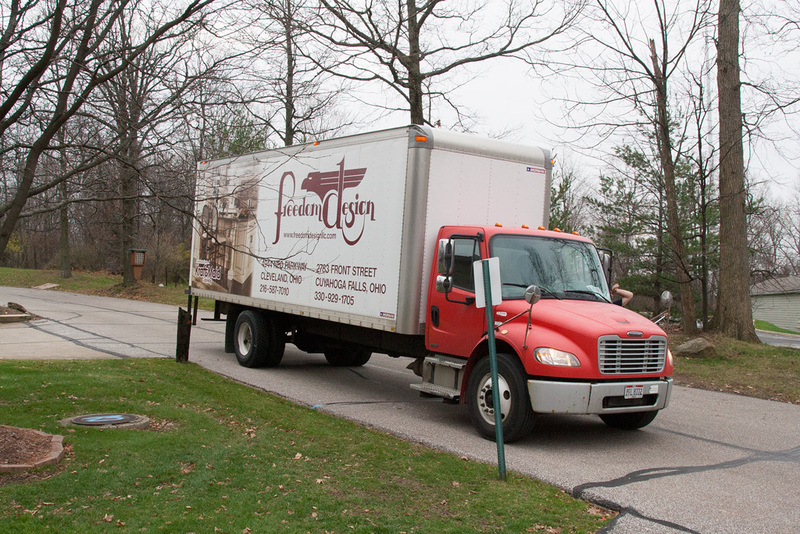 Early morning arrival — the big truck with our new kitchen cabinetry! 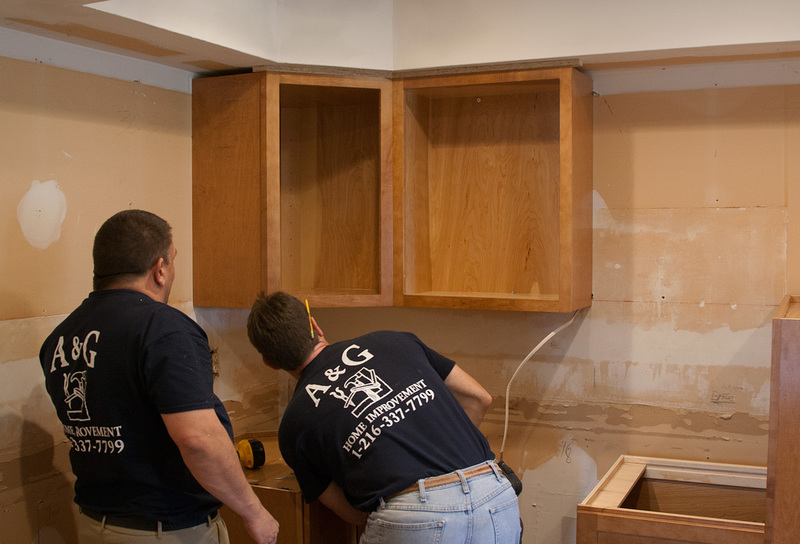 First cabinet goes up! The guys are making sure it’s just right. The Pantry — biggest single piece of cabinetry in the place and a bear to handle! How things look at the end of Day 3 … Promising.